Roberta Rich lives three to four months of the year in Mexico. She likes it there, and has a small and sunny studio in back of the house she shares with her husband, where she can write without interruption by either guest or phone. Normally I would never lead with such a humdrum detail as where a writer works. The answer is always one of two places: either a small and sunny studio, or the sort of wooden closet where penitent seminary students cry out their sins. Those looking for a Master’s Thesis might want to consider comparing the spaces where books are written and the tone and topic of the results. However, because of the Mexican location, I can easily understand why Rich gets those uninterrupted days. Despite dialing correctly four times (with the number confirmed by the ever-alert Random House Canada publicist), I four times increasingly annoyed a Mexican woman to whom the call had been routed. She spoke no English; I don’t speak Spanish so therefore being Canadian I tried French. One never knows. At the risk of setting loose a chain of events that would end with the ritual burning of the NAFTA Trade Treaty, I tried a fifth time and this time the voice on the other end was a pleasant woman with no trace of either anger or Spanish. It was Roberta Rich. When she eventually reads this, I am taking the opportunity here to apologize for spending the first moments of our conversation babbling like a burst pop bottle about the flaws of the modern telecommunications systems. I’d very much enjoyed ‘ HYPERLINK “http://bythebookreviews.blogspot.com/2011/01/midwife-of-venice-by-roberta-rich.html” The Midwife of Venice’ with a story of romance in the sixteenth century amidst a backdrop of the prejudice inflicted by Catholics upon Jews. When I reviewed it, I mentioned that I thought it set up well for a sequel. That was my first question. I’m please to report, well I can’t report much actually. Roberta Rich is working on the sequel and it does sound like it will contain a series of sharp yet logical plot twists. She does not want to put a deadline as to when the next book will come out, as writing historical novels requires intensive research over a period as longa s is necessary. My guess would be about two years, but that is strictly my guess. 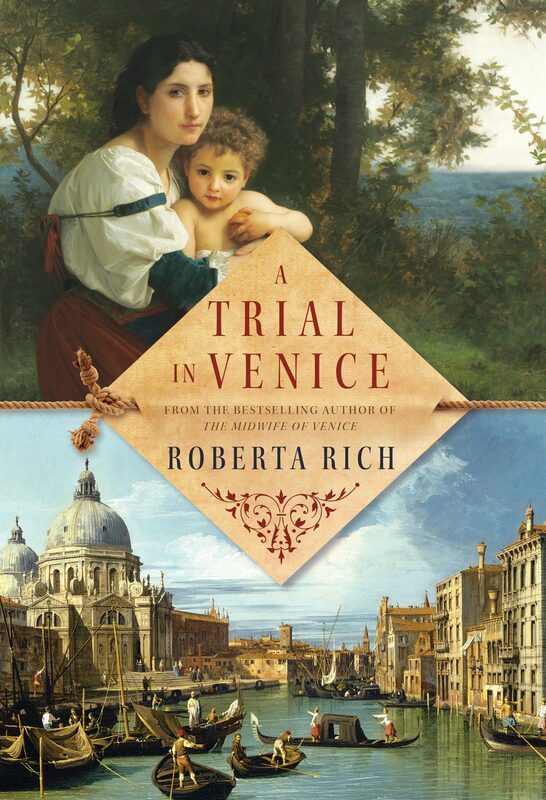 In the meantime, ‘ HYPERLINK “http://bythebookreviews.blogspot.com/2011/01/midwife-of-venice-by-roberta-rich.html” The Midwife of Venice’ is enjoying exceptionally string sales. As of our conversation on March 2, 2011, it ranked as Number Eight on the ‘Globe & Mail’ best-seller list for Canada, and Number One on the HYPERLINK “http://astore.amazon.com/bythe-20/detail/0385668279” Amazon Canada list for Historical Fiction. Now that is an exceptional debut. The book has been picked up in Germany and Turkey and will soon be announced as published in the U.S. I’d say buy an original edition while you can. We also discussed Roberta Rich’s prowess as a writer. She feels that putting together the plot is her weakest skill. I don’t agree, but what do I know? However, she has a very good eye for settings. ‘The Midwife of Venice’ emerged from a trip Rich and her husband took to Venice in 2007. While there, she visited the historic Jewish ghetto, and actually saw the birthing rooms and the famous birthing spoons that eventually serve as the catalyst for much of the novel. It was quite pleasant chatting with someone just on the rising crest of international fame. Writers as a group are very amiable and helpful people – do take one for lunch sometime – so it is exceptionally fun to talk to someone just as they’ve realized they’ve made it. Good for Roberta Rich. And that’s the final word.